This morning I am completely in love with today's picks from our fabulous Flickr group 'making everyday beautiful'... it feels a wee bit like one of my old 'colour your Monday happy' posts - inspiring, uplifting, colourful and entirely cheerful! I love your selection! All these colors make me feel happy! That picture by Lucy summers... wow! 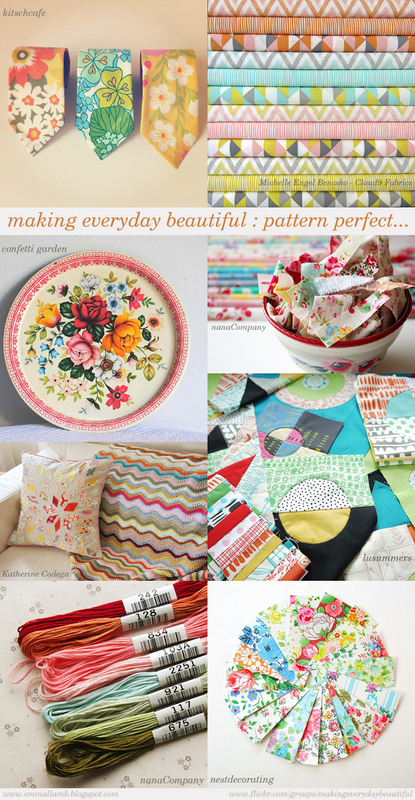 Ahhh :) Coming to your blog is always a good dose of colour.. I loved your colour monday-posts..
What a nice collection of images. Those Cloud 9 cottons are so pretty but also grown-up, aren't they?